I was pretty late to the make-your-own-dough party. It was just about a year ago that I first made pizza dough from scratch. I won’t point a finger if you haven’t yet tried your hand at dough-making. Working with yeast can be down right scary. It is ALIVE! It must be fed?! Will it rise? Did I give my dough enough love? For years I shrugged off anything made with yeast as being too much of a project. Plus why bother when you can procure a ball of fresh dough at most pizza places, especially one which will bake up into a dreamboat of a pizza all while in the comfort of your own home. 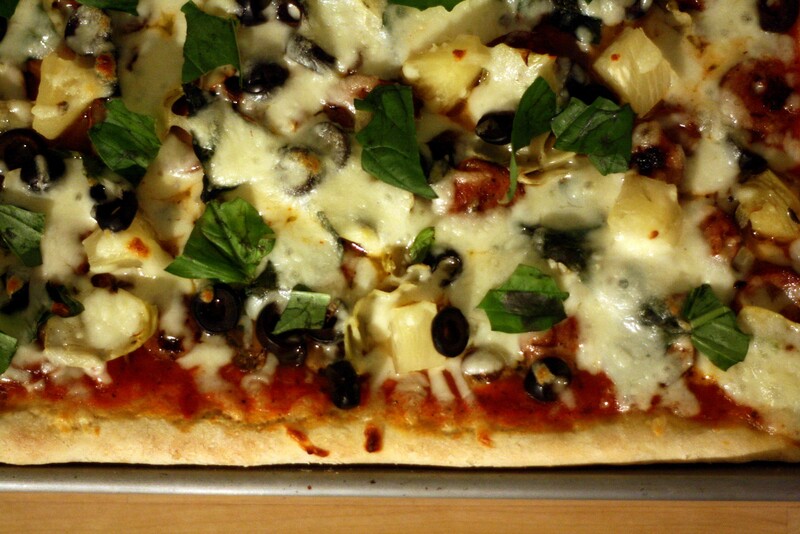 I won’t blame you if you are thinking – oh sure, pizza dough may be easy for you, but you are baker! The real reason I’m a baker is because at the end of the day I am an eater and I taught myself to make the food that I wish I could pay other people to make for me but somehow I can not seem to ever find exactly what I am craving. The exception to this is burgers. I don’t make burgers. Someone will always and forever make a better burger than me. I have an ever-growing list in that deep reserve of the back of my brain that helps me to remember to water the plants, change out the batteries in the smoke detector and is able to recall one of my 38 username/password combinations at a moments notice. The bread-making process is one of those simple joys. You should give it a try. You might surprise yourself. 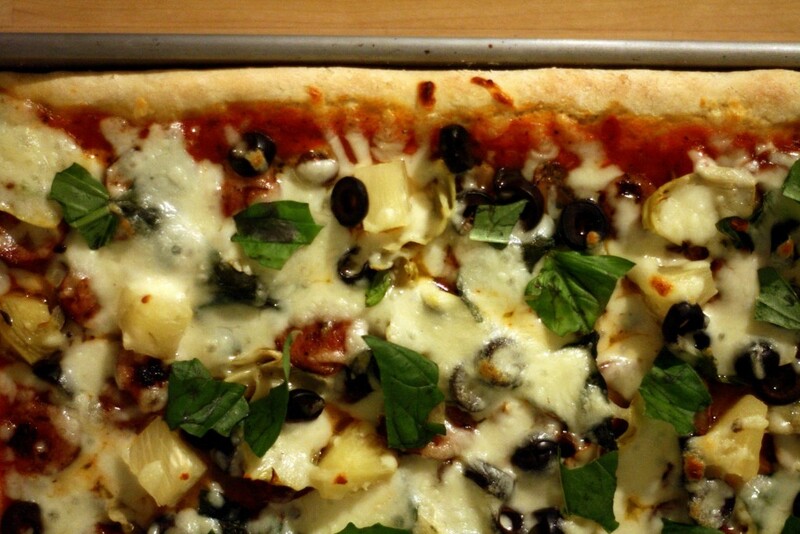 Making pizza is a perfect weekend activity. Forget your list for a day. Make your own dough from scratch. I’ll be here for you when you have that moment where you need to let someone know how easy it was. In a large bowl mix together flour, salt, sugar and yeast. 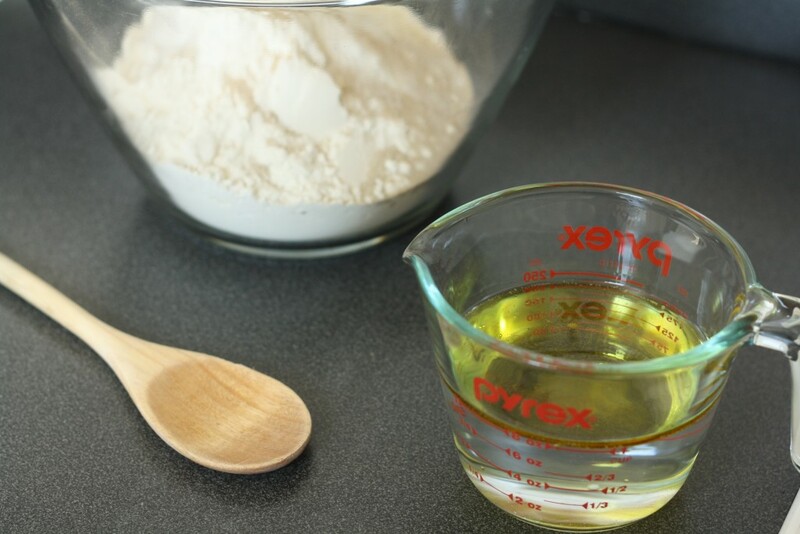 In a liquid measuring cup measure out the warm water then add the olive oil. 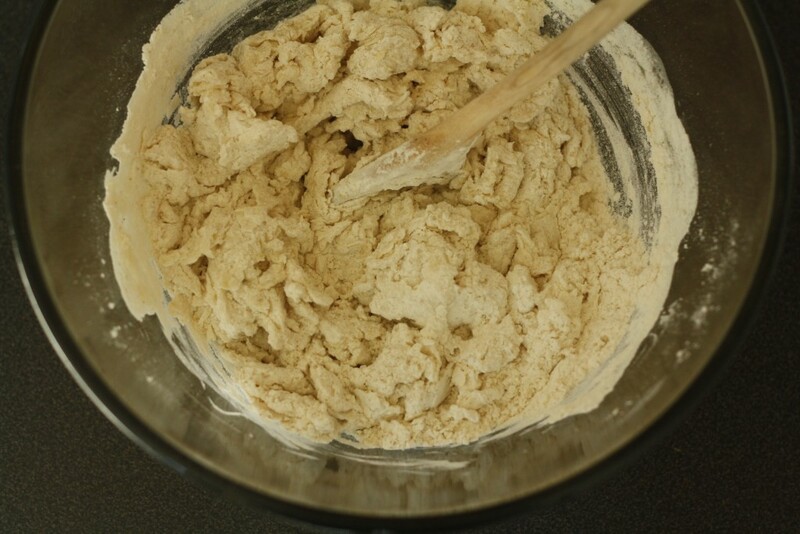 Pour the liquid over the flour mixture and stir until the dough comes together. 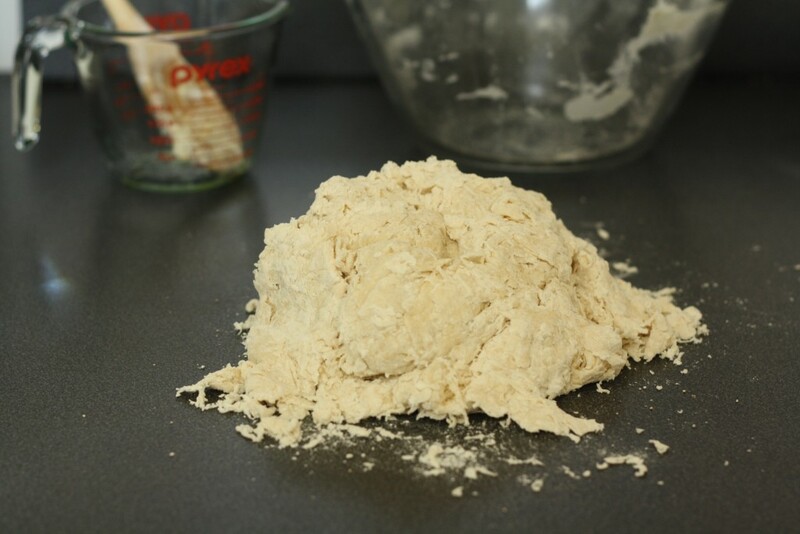 Dump all the clumps and bits on to your counter top and knead the dough until it comes together and a smooth ball forms. 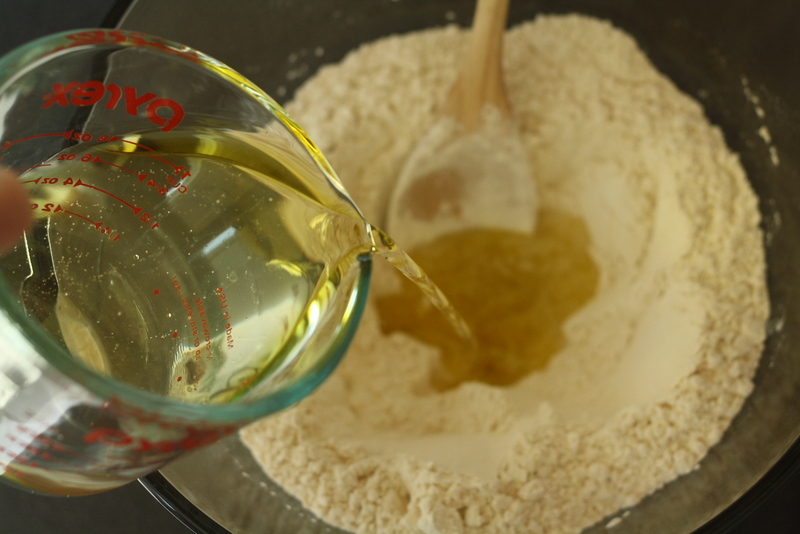 Place the dough in a lightly oiled bowl (how about the one you used for mixing – less dishes! ), turn to coat and cover with plastic wrap. 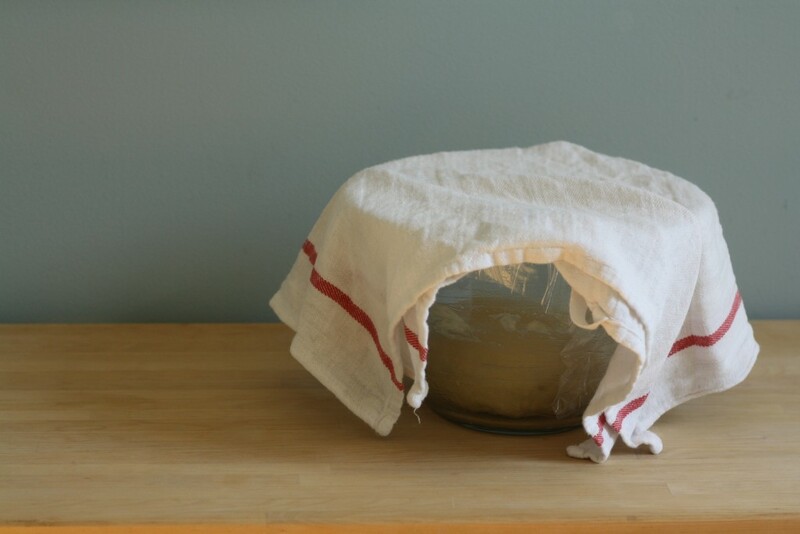 Let the dough rise for an hour or two or until it doubles in size. When it is ready or you can’t wait any longer, place the dough on your lightly floured countertop (it is still messy, right?) and gently punch out the air from the dough. 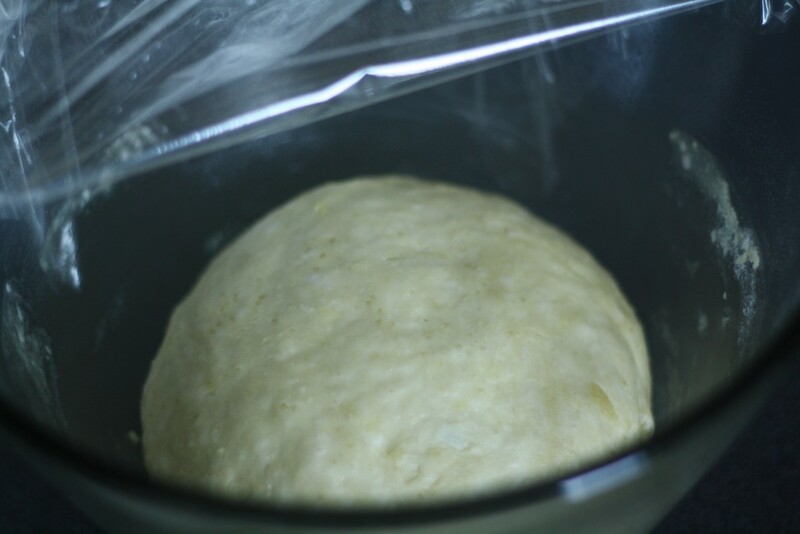 Shape the dough into a ball and let rest for about 20 minutes under the plastic wrap. Oh look! This is the perfect time to get ready for the pizza party you are about to have! Heat the oven to 500 or as high as it will go. Find your rolling pin (if you are without pin – an unopened wine bottle works spectacularly well in this situation) and get a baking sheet out. 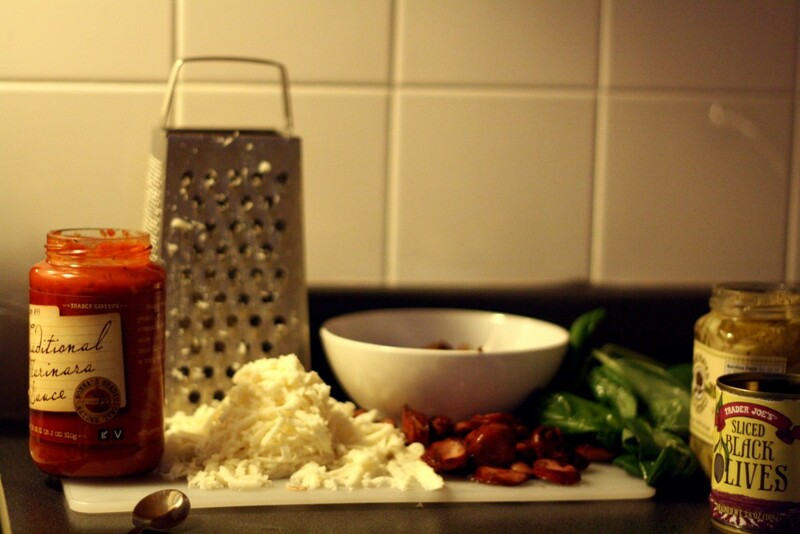 Prepare your toppings. Sprinkle the pan with cornmeal, roll out your dough, and add your toppings. Bake for 10-12 minutes or until the crust is lightly brown and the cheese is bubbling with delicious-ness. LILLIE!! this pizza looks incredible, i want it so bad. also – i made granitas with your recipe and it was amazing. You are so inspiring! I just made the pizza, and it looks amazing! Thanks for the recipe!!! Keep on cooking! I can’t believe that I actually made a pizza at home! I had fresh yeast and tried with one pack which turned out to be great. 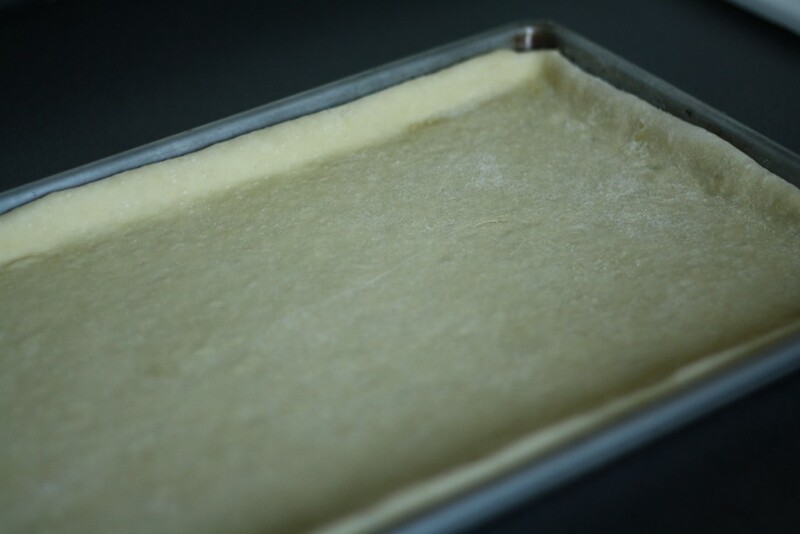 What do you think of fresh yeast for this dough? I will probably be making pizza almost every day since it’s that easy and delicious. And it definitely smells like a pizza place, yummy! Thanks for sharing. Cheers. Yay! That makes me so happy to hear and I’m glad that you have found the magical powers of homemade dough. I’m a fan of fresh yeast but usually use the dried stuff out of convenience. 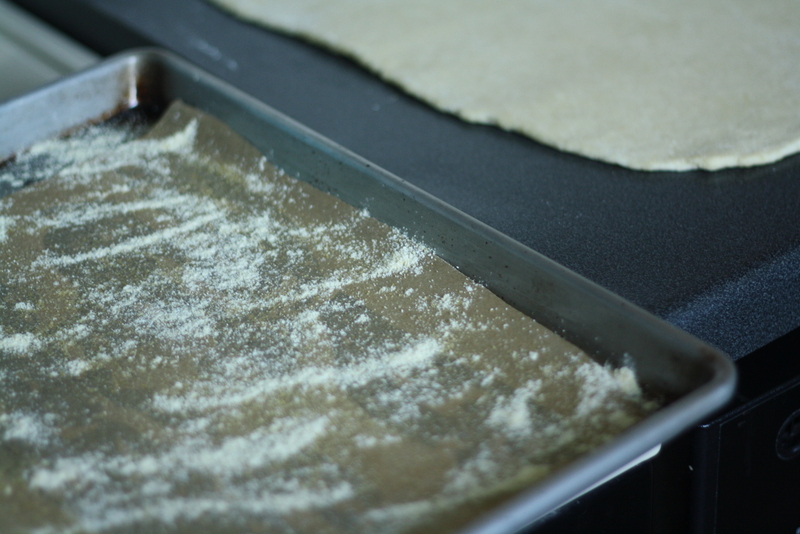 I was making your homemade pizza dough and I found it to be really tough to get it smooth and to stay together. Do you have any tips for me?